Synopsis : The circle is closing. The stakes are high. And old truths will live again ...The Emperor has been murdered, leaving the Annurian Empire in turmoil. Now his progeny must bury their grief and prepare to unmask a conspiracy.His son Valyn, training for the empire's deadliest fighting force, hears the news an ocean away. He expected a challenge, but after several 'accidents' and a dying soldier's warning, he realizes his life is also in danger. 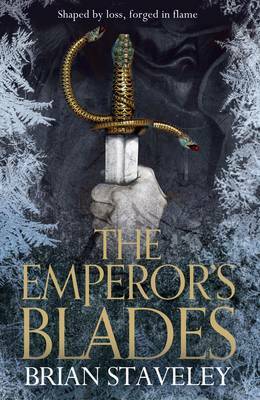 Yet before Valyn can take action, he must survive the mercenaries' brutal final initiation.Meanwhile, the Emperor's daughter, Minister Adare, hunts her father's murderer in the capital itself. Court politics can be fatal, but she needs justice. And Kaden, heir to the empire, studies in a remote monastery. Here, the Blank God's disciples teach their harsh ways - which Kaden must master to unlock their ancient powers. When an imperial delegation arrives, he's learnt enough to perceive evil intent. But will this keep him alive, as long-hidden powers make their move?